Lock in a great price for Hilton Singapore – rated 8 by recent guests! The hotel was excellent one of the best Hilton's I've stayed and I thoroughly enjoyed our stay. The staff was friendly room was clean service was great. The breakfast was spectacular great quality great selection nice atmosphere, well worth the money. Location is good and lobby is impressive. Gym was fairly well equipped. I loved the King size bed & the amenities. Breakfast selection can be improved. Great Central location. Executive lounge worth The price. Helpfull staff in getting cabs. I stayed in the newly renovated Premier room with a walk in rainshower. It was a pleasant change from the bathtub. Service was excellent and the team at the Club lounge was very good. Check-in and check-out process was very efficient and fast. Staff extremely helpful with additional requests that I had. The hotel is in a very good location. Very comfortable bed! The location is excellent, it is just a few minutes walk away from the Orchard train station and there is a bus stop opposite it as well. The room size was spacious and comfort but toilet need upgrading. Big room but it had a small bathroom. 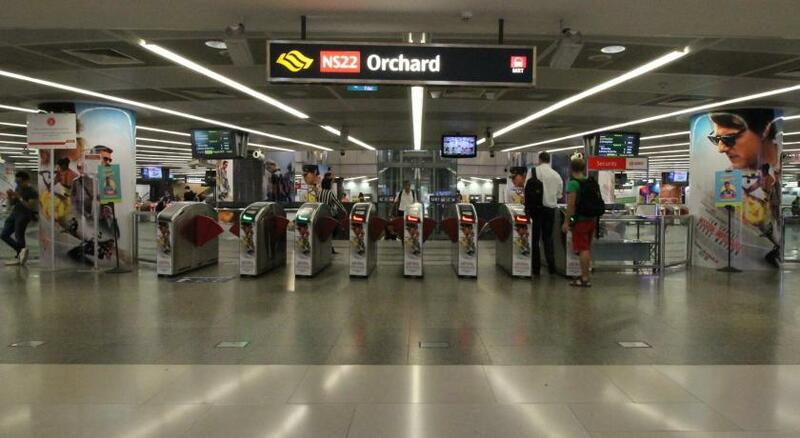 Good location to shopping and Orchard Road malls. Hilton Singapore This rating is a reflection of how the property compares to the industry standard when it comes to price, facilities and services available. It's based on a self-evaluation by the property. Use this rating to help choose your stay! Enjoy convenience and luxury along Singapore’s iconic shopping street, Orchard Road, at Hilton Singapore. A 5-minute walk from Orchard MRT Station, it features 6 dining options, a 2-story shopping gallery, rooftop pool and 24-hour fitness center. 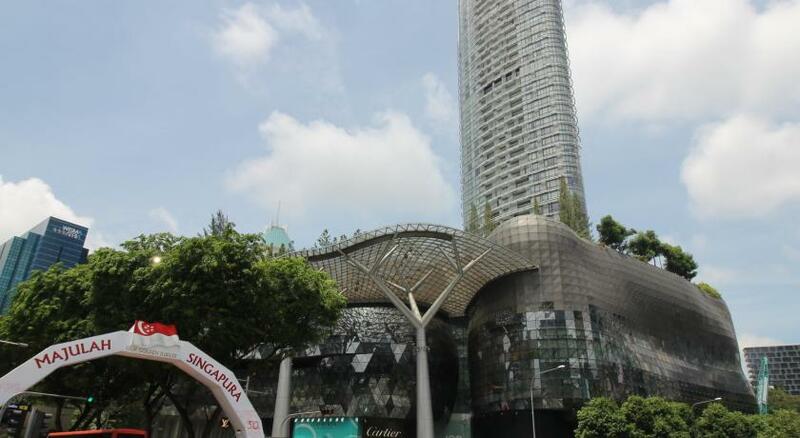 Singapore Hilton is a 5-minute walk from Singapore’s premier shopping mall, ION Shopping Center. A 10-minute drive from Marina Bay and City Hall, it is a 20-minute drive from Changi International Airport. Boasting sweeping city views from floor-to-ceiling windows, modern rooms feature a large flat-screen TV. Luxurious marble bathrooms have a bathtub and hairdryer while select bathrooms have a standing rain shower. Take in views of the city while lounging by the outdoor pool or enjoy soothing massages at Hilton’s spa. Attentive staff can provide concierge and business services. Dining highlights include Opus Bar & Grill’s prime-cuts that are dry-aged in-house and grilled over an open flame, or sip on a cocktail inspired by Asian food at the bar. For authentic Italian cuisine, il Cielo is known for its high culinary standards using organic produce. Perched on the 24th floor of the hotel, the Sky Bar is the perfect oasis to relax over drinks while taking in sunset views of the city. Healthy lunch and fresh juices are offered at the Verde Kitchen. D9 Cakery offers delicious cakes, pastries and desserts. When would you like to stay at Hilton Singapore? Stylish room features floor-to-ceiling windows offering city views, a work desk, a King-sized bed and LCD TV. Also comes with waffle bathrobes and slippers. Private parking is available on site (reservation is not needed) and costs SGD 7 per hour. On a high floor, modern rooms feature floor-to-ceiling windows, a King-sized bed and a work desk. 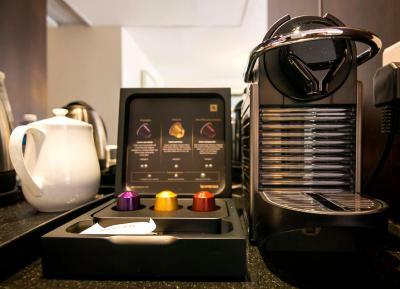 Rooms also come with a Nespresso coffee machine and LCD TV. - Executive Lounge access and benefits include free breakfast and refreshments. Spacious and luxurious suite featuring one King-sized bed, separate living and dining areas and an LCD TV. A work desk and Nespresso coffee machine are also available. 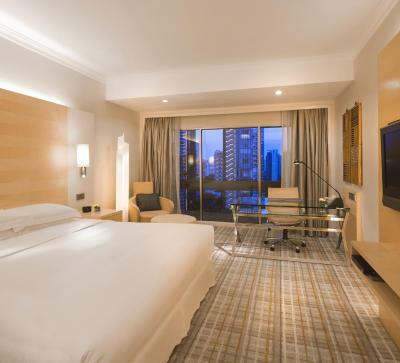 Stylish room features floor-to-ceiling windows offering city views, a work desk, twin beds and LCD TV. Also comes with waffle bathrobes and slippers. Rooms are on a high floor, featuring floor-to-ceiling windows that offer city views. A large armchair, desk and LCD TV are provided. Also comes with a Nespresso coffee machine, bathrobes and slippers. On a high floor, modern rooms feature floor-to-ceiling windows, twin beds and a work desk. Rooms also come with a Nespresso coffee machine and LCD TV. - Complimentary high speed wireless internet access. Located on the 22nd floor, rooms feature a private balcony with seating area, a king-size bed, a work desk and floor-to-ceiling windows. Rooms also come with a Nespresso coffee machine and LCD TV. Located on Levels 17 to 19, this larger contemporary-styled room features floor-to-ceiling windows, a king-size bed, a work desk and Herman Miller ergonomic chair. It is equipped with a Nespresso coffee machine, a HD LCD cable TV and marble bathroom with a walk-in rain shower. Please note that additional WiFi charges apply. Located on Levels 17 to 19, this larger contemporary-styled room features floor-to-ceiling windows, twin beds, a work desk and Herman Miller ergonomic chair. 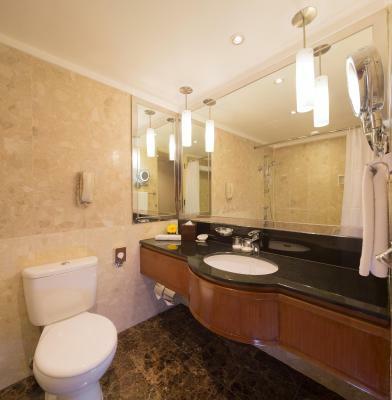 It is equipped with a Nespresso coffee machine, a HD LCD cable TV and marble bathroom with a walk-in rain shower. House Rules Hilton Singapore takes special requests – add in the next step! Any additional children or adults are charged SGD 70 per night for extra beds. Hilton Singapore accepts these cards and reserves the right to temporarily hold an amount prior to arrival. The value for money compared to other hotel properties. Staff was very friendly and welcoming. Property itself was old but well maintained. The room door slams each time it opens and closes. We have to make mental note to remember to hold the door handle to allow the door to close slowly to prevent it from slamming. Other part is the lighting of the living room area of the executive suite is too dim. 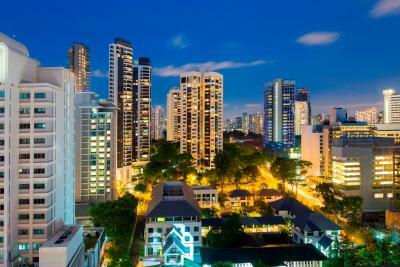 Fantastic location at top end of Orchard Road, great Executive Lounge and roof top pool. Executive lounge staff were excellent. Pretty basic rooms, particularly the bathroom. Gym was very hot. Staff at breakfast and at the cafe were difficult to locate but helpful enough when you could attract their attention. Corridors are very tired. A few things. Dirty windows, aircon and extractor fan not working but staff corrected that.